Wood Wharf has been under plans for the past ten years; however it was not until December 2014 when the Canary Wharf Group received planning permission. Originally, the area was supposed to be predominantly commercial based, however when the Canary Wharf Group took full control of Wood Wharf in 2012, plans became much more residential focused. Canary Wharf estate agents are excited about these developments as the area is geared up for a massive property boost in the next few years. Wood Wharf is set to become a vibrant, urban quarter, creating new work opportunities and places to live. The area will be community based with up to 3600 properties, including affordable housing, a primary school, doctor’s surgery, as well as 3.6 hectares of public space and 1km of dock edge walkways. These features will make the area hospitable for a variety of residents including families and professionals. Canary Wharf estate agents will also see a rise in commercial properties in technology and media sectors. The market conditions will mean a change from large commercial buildings towards smaller scale, flexible office spaces. The area will also have a multitude of bars, restaurants, shops, hotels and recreational centres to make Wood Wharf an excellent community with a vibrant atmosphere. Wood Wharf’s first phase will be completed by the end of 2018 to coincide with the arrival of the Crossrail in that year, a new train line set to revolutionise transport across London. 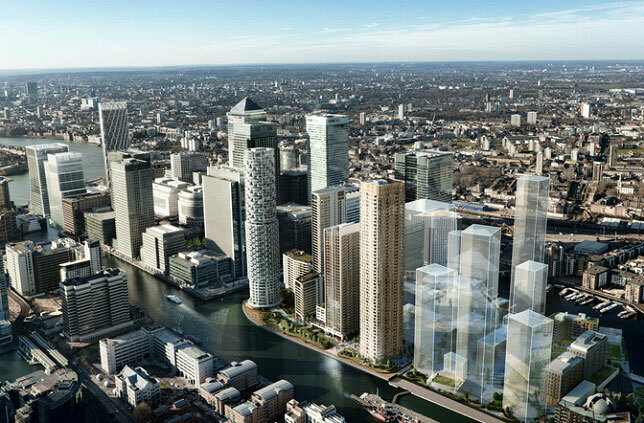 Canary Wharf estate agents will tell you this is an exciting time to consider moving to London as Wood Wharf and the connecting riverside districts are progressing towards a vibrant community atmosphere with a growth of job opportunities. So if you would like more information on the Wood Wharf development and are looking for a reliable and trustworthy estate agent, then speak to Henry Wiltshire Estate Agents. Visit our website to find out more or alternatively call or visit us to speak to one of our knowledgeable agents.